Phivida Holdings Inc is a publicly traded company on the Canadian Securities Exchange, traded on the ticker symbol “VIDA” and on the US OTC Markets as “PHVAF”. Phivida [“fiii-vee-daa”] is a premium functional food and beverage company that believes that whole plant nutrition and natural ingredients are our best way to maintain overall health and balance in our bodies. We infuse all our products with organic cannabinoids from Hemp into a variety of premium foods, beverages and clinical products for everyday health. We embrace and celebrate a return to organic, natural plant-based foods and beverages, and a focus on holistic health and wellness. Our mission is to help reduce the world’s dependence on pharmaceuticals and provide food and beverage choices that allow our customers to live a balanced healthy lifestyle. Simple. To help as many people as we can. We have always believed that health through plant based and natural alternatives is the best way to maintain our health and wellbeing. We’re committed to producing innovative products from the cleanest and healthiest, nutrient rich ingredients to help you live healthier, and fuel your performance and wellness goals. 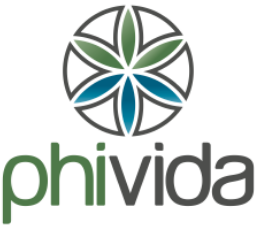 Phivida’s mission is to lead the alternative health care sector as the benchmark quality standard in premium cannabinoid infused foods, beverages and clinical products, with a dedication to research, education and investing back into the communities which we proudly serve. Nurturing and growing strong relationships and partnerships within our community to further the overall acceptance and understanding of cannabinoid-based health products. Continuously strive for greatness. We are curious minds, and want to solve problems. Creating new and innovative products while advancing research and development is at the core of everything we do. The only constant in life is change. At Phivida, the growth of our customers and being a part of helping you achieve your health and wellness goals is what drives our evolution. Bachelor’s degree in marketing and MBA from McGill University. Over 20 years within in the grocery business working his way up from a clerk to store manager before entering the corporate side where he held numerous senior positions before being promoted to a Corporate Vice President. Over four decades of experience in the food and beverage industry in all aspects of the business — from store operations to retail operations, procurement, merchandising and marketing within the natural specialty grocery channel. +10 year practice is focused on corporate nance, mergers and acquisitions, and structured products. Current Partner of Gowling WLG Law, extensive experience in corporate commercial and securities law. BA Queens University, Law Degree at York University, Osgoode Hall Law School. Phivida Signs Exclusive Partnership with Athletes for Care, Inc.
Clinical Study on Phivida's Nano-CBD™ at the University of Nottingham (UK) in Collaboration with Artelo Biosciences, Inc. This month’s update is brief – however, we are very much looking forward to a number of exciting initiatives underway that will be finalized and shared with you next month. Our Sales and Marketing team has been busy deep in discussions with a number of U.S.-based retailers and we’re excited to report that the conversations are on track for expected retail launch in April of this year. We’re also very close to finalizing multiple contracts with key distributors on the West Coast markets in the U.S. and with popular retail stores that align with our brand. I understand you must be frustrated with the continued slump in our share price but know that we are working hard to increase it – I am confident in this as things are moving ahead positively and believe the market will change quickly once these milestones are met soon enough. 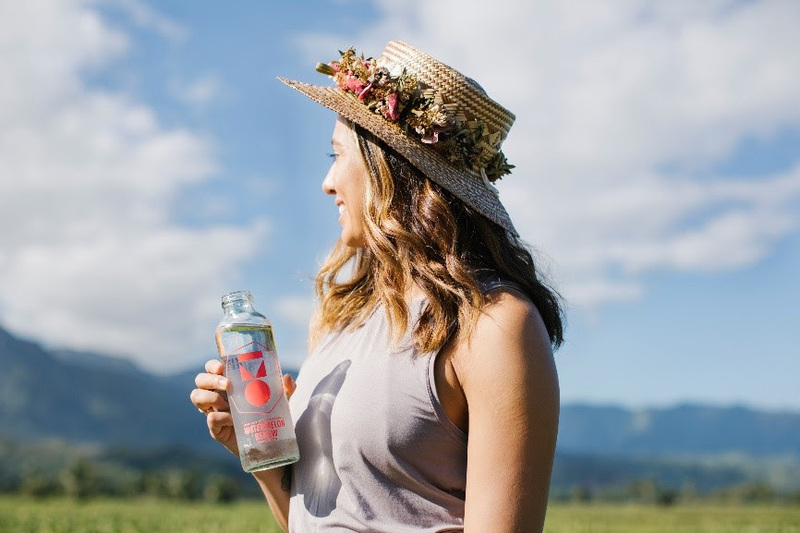 As you may recall, world-class Hawaii-based surfer Malia Manuel recently wrapped the photoshoot with our Marketing team to showcase the new Oki beverage packaging. Since then, we’ve been working with our design team to select the best images, which are currently being re-touched, and will be pushed out across our social media channels for various promotion purposes. You can expect to see these images launched on our Oki social pages beginning early next month. Here is a sneak peak of two of the shots that were captured at the shoot. Next week, the full Phivida Sales and Marketing team will be on site in Anaheim, California for Expo West (March 5 – 9), where we will be showcasing our newly designed Oki trade booth and allowing the many attendees to experience Oki products. Expo West is one of the largest natural products conventions on the West Coast and is set to attract around 100,000 retailers, distributors, wholesalers over the course of the week. We’re excited to be introducing Oki to such a large and influential audience. You may have seen the press release that went out at the start of this week to announce our new partnership agreement with Flora Research Laboratories, which will strengthen our commitment to product testing and set the standard for our industry. This month, we continued to see positive results from increased SEO efforts on our Vida+ site. Traffic has increased by 25% and revenue has increased significantly in the last 30 days. February was our best month yet in direct to business and consumer sales of Vida+ products. We also believe the new website currently in development will enhance e-commerce sales once live later this quarter. As always, I would like to thank for you for your ongoing support and look forward to providing you with more good news.